Whole Foods customers are reaping the benefits of Amazon’s $14 billion acquisition of the organic-food store chain in 2017. After slashing prices and offering extra discounts to Prime members last year, Amazon is now giving Whole Foods shoppers 5 percent back when they use their Amazon Prime Rewards Visa card. Jeff Bezos’ company has just announced the perk, which it no doubt hopes will encourage more people to join the $99 per year program and sign up for one of its visa cards, which also offer 5 percent back on Amazon.com purchases. 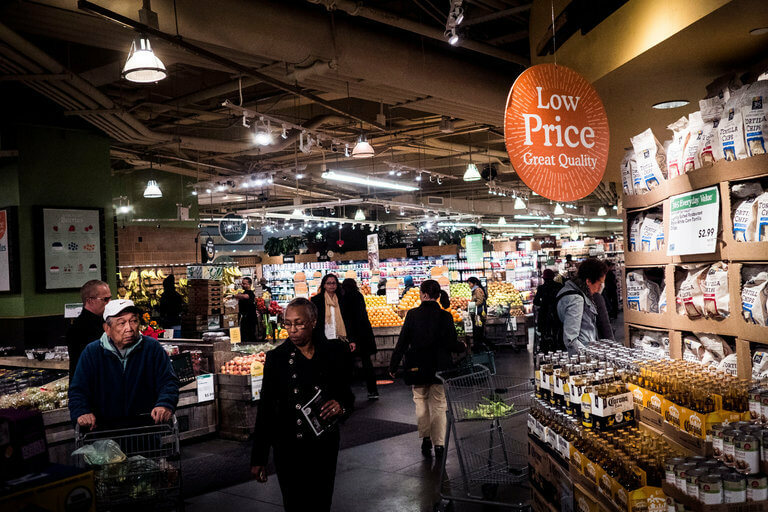 Even Amazon customers who aren’t Prime members can benefit; when paying with an Amazon Rewards Visa Signature card in Whole Foods outlets, they’ll earn 3 percent back—the same deal that is available with Amazon.com buys. Additionally, both Prime and non-Prime cardholders earn 2 percent back on gas stations, restaurants and drug stores, and 1 percent back on all other purchases. It seems one group who aren’t pleased about Amazon’s takeover is the Whole Food employees themselves. Workers say a new inventory management system called order-to-shelf, or OTS, has led to food shortages within the outlets. Some employees reportedly called OTS a “militaristic,” moral-crushing system that has led to goods being out of stock and empty shelves.